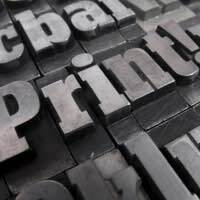 Home > Print on Demand > Will Print On Demand Help Me Get an Agent? Have you contemplated taking your writing to “print on demand” or “POD” status? If so, you aren’t alone. Many entrepreneurial writers who have had difficulty finding a literary agent (or who have been hesitant or unwilling to send out dozens of queries) have decided it’s better market and sell their novels and nonfiction books themselves. However, the big question remains – once you’ve taken this step, does it make it easier or more difficult to get an agent in the future? The Basics of “Print on Demand”. For authors (especially first-time ones), POD is a relatively simple opportunity to “publish” their writings. These written products can then be sold to bookstores, retail outlets or directly to clientele without having to go through a “middle man”. Of course, POD printers aren’t in this business to be charitable; they do charge a wide variety of fees, some heftier than others. But for many writers, these fees are well worth the opportunity to have a tangible product whose marketing they can control. Agents just wouldn’t give POD writers the time of day. Cut and dry. End of story. But much has changed in the past five years, and with the change, a few doors have opened a crack for POD authors, including the possibility of attracting a literary agent with a POD book. Generally speaking, those agents open to POD are not going to be from the larger or well-known literary agents, but large doesn’t always mean “better”. Agents all have to start somewhere, and a newer literary agent may be willing to take on a POD work. In fact, many authors who have turned to print-on-demand do not reveal that fact to agents in their query letters lest they appear to be novices. (Alternatively, they bury the information at the end of the query hoping to catch the agent’s attention without diverting his or her attention during the body of the letter.) Thus, any writer who contemplates print on demand must remain cautionary and must think over his or her reasons for choosing POD. Snagging an agent isn’t your goal but having your works in a print format is. You’re going to be selling your products on your own, such as through a website or at a seminar, in which case it’s unnecessary to have an agent. You wish to sell your works directly to the public through a major online-only bookseller. You have peddled your novel to hundreds of agents and haven’t gotten a “nibble”, in which case you may just want to go ahead and try to make it work on your own. Regardless, know that the world of publishing is always changing, so the rules today won’t necessarily be the rules tomorrow. Good luck with all your writing endeavours, including any POD ones!